I love the music of these guys. They sound fresh, inventive, clever, and utterly soulful and compelling. They are Thomas Heberer on trumpet, Joachim Badenhorst on clarinet, Pascal Niggenkemper on bass, and Joe Hertenstein on drums. 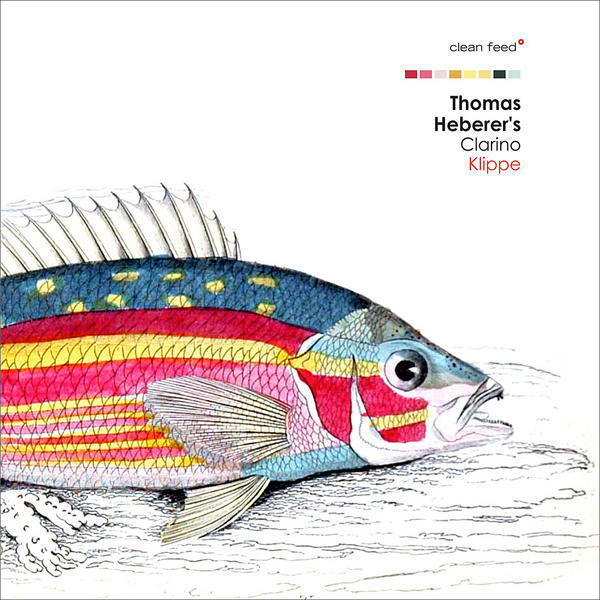 The first three already made the excellent "Clarino" on No Business last year, while Heberer, Niggenkemper and Hertenstein released "HNH" on Clean Feed. And now they are back, with one trio and one quartet. 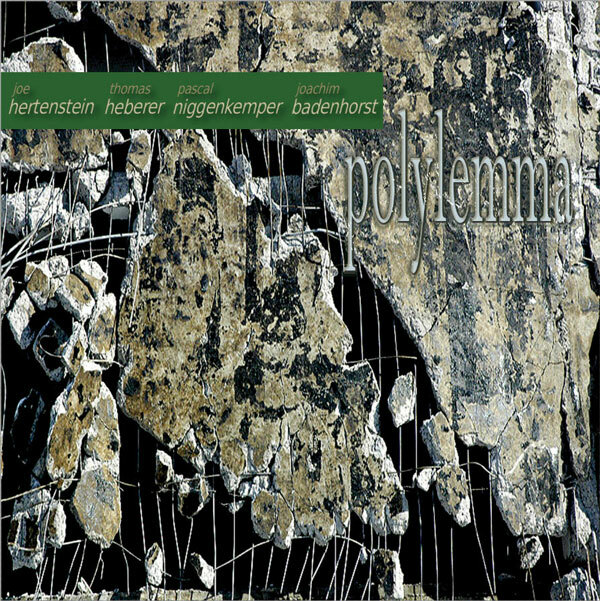 The incredibly impressive percussion-less chamber music on this album is the result of Heberer's own "Cookbook" notation, by which improvised phrases are played, repeated and then reintroduced into an agreed structure. The approach requires astute listening and concentration, an aspect which is audible in the music, and adds a kind of dimension of caution and fragility. In contrast to many other musicians of their generation, they hardly ever resort to extended techniques, yet they use their instruments in the most "voiced" traditional way, but with the skills of virtuosi. The overall sound as a result is calm, precise and subtle, sometimes grave, sometimes playful, often full of wonder, full of surprise. There is an incredible tenderness for the notes played, and intense feeling of cohesion despite the freedom the musicians have. Even if some of the pieces sound abstract at first listen, this is easily compensated by the sensitivity in each musician's timbral richness and the emotional delivery. 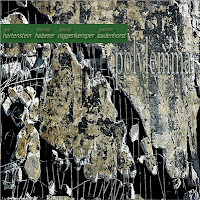 The album's title "Polylemma" means : "a choice from multiple options, each of which is (or appears) equally (un-)acceptable or (un-)favorable". And this is basically what you get, but with staggering result. Half the tracks are penned by Heberer, also in his Cookbook notation, the other half by Hertenstein, who is the leader of this band. It is interesting to hear the same "Clarino" trio with the addition of drums, but it is not the same music plus a drummer. Yes, for sure, there are similarities, but this is music largely led by a drummer, and you can sense that immediately, in the steady pulse of the opening track, the references to old swing jazz, the sweet theme of "Sugar's Dilemma" turning into a real violent fight, a peak of volume that is absent on the trio album, or the last track "Nupeez", with its boppish bass line and crazy soloing. 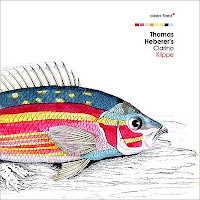 Also Heberer's compositions are tighter than on "Klippe", with unison lines, as on the clever "One Ocean At A Time", in which the rhythm section gets the dominant role, interrupted by sudden and changing themes. It is obvious that a lot of thought went into these songs, lots of weighing of alternatives and possibilities, of selecting and discarding as its title suggests, yet the end result sounds nothing like a cerebral exercise, because of its incredible sense of spontaneity and musical joy that reverberates with every note. These guys are really fantastic! The choice is simple : buy both albums. Both are fresh, inventive, clever, soulful and compelling. The trio is more intimate and introvert, the quartet more expansive and extrovert, and hence they complete each other quite well. No choice this time. Both. It can't be said enough how good Thomas Heberer is. If in doubt, you can still download his free album Five by Five, (reviewed here). I was reading the two reviews trying to decide which to get, and then I got to the final paragraph. I guess that settles that!